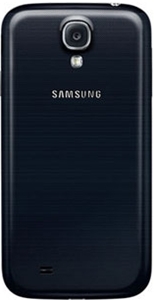 Samsung has released their new flagship Smartphone Galaxy S4 at the unpacked event. Design wise it is similar to the previous Galaxy Version s3 but Galaxy S4 is much slimmer and a taller Smartphone with 5 inch of display. Samsung galaxy cameras include GS4 Boasts functionality which means you can capture photos simultaneously from both cameras same with the video recording functionality. There is a sport for Infra Red that works with Samsung WatchOn App that can control devices such as Media Player, DVD Player, Air conditioner and HDTV. There are some special functionalities included that will make your life easier which are as below. Screen control without even touching it, the Smart Scrollsystem that detects your face and lets you to scroll while browsing or email up and down without even touching the screen. Smart Pause will pause the video when you are not looking at Screen and plays back when you start liking it. Air Gesture, you can control music playback, scroll up/down a web page, or accept a call with a wave of your hand. 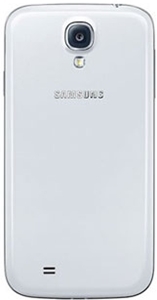 There are two color options were presented at the launched of Galaxy S4 the Black Mist and White Frost. But Samsung has plans to add more variety of colors later this year. 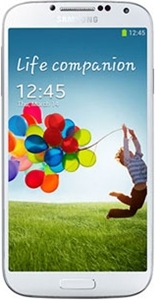 Samsung GALAXY S 4 will be available from Q2 (start of April 2013) globally including the US, partnering with AT&T, Sprint, T-Mobile, Verizon Wireless, as well as US Cellular and Cricket. 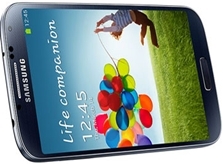 In Europe, Samsung GALAXY S 4 is partnering with global mobile operators such as Deutsche Telecom, EE, H3G, Orange, Telenor, Telia Sonera, Telefonica, and Vodafone.